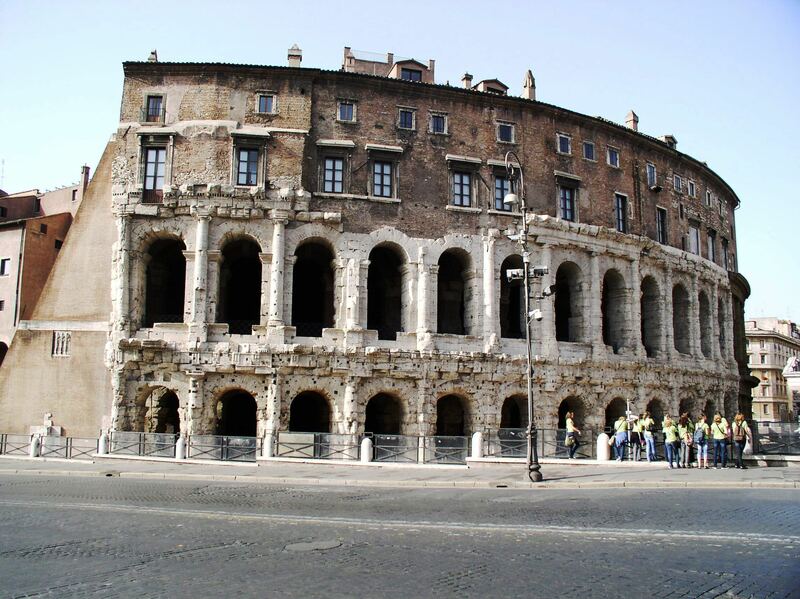 More more images of Classical Roman architecture on Flickr, Click Here. Rome, Italy. 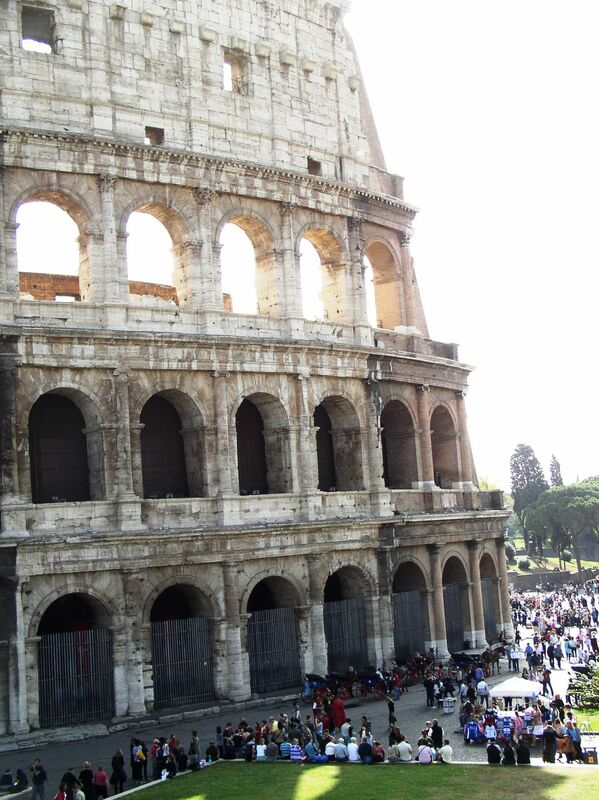 The Colosseum, completed 80 AD, revealing the key Roman form of round arch set inside an entablature frame. Pompeii, Italy. Example of original Roman brick, labeled as such even today for its distinctive long, thin shape. 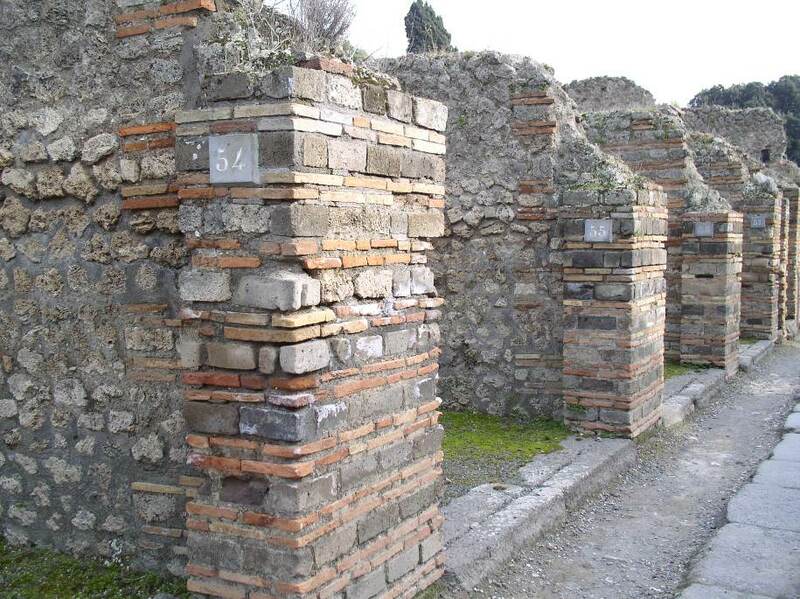 The Romans spread their brickmaking skills throughout the Roman Empire. Rome, Italy. 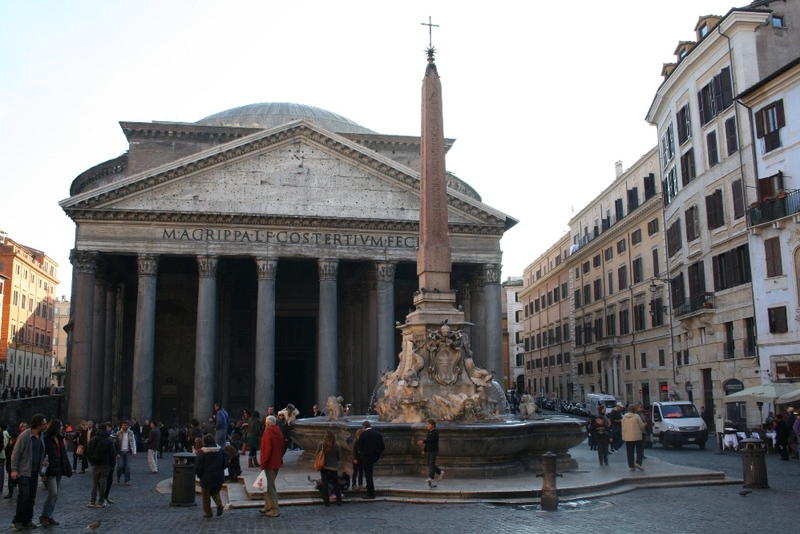 The Pantheon, completed in its current form around 126 AD. With its Greek-style pediment in front and its circular rotunda on the interior, this is perhaps the most influential and oft-copied structure in Western history. Rome, Italy. The Pantheon, interior rotunda. The oculus (opening) at the top provides the only significant light inside. 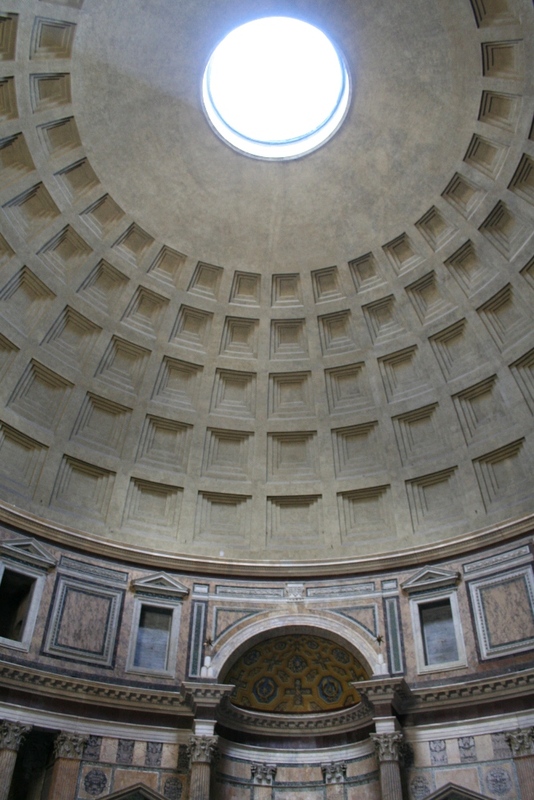 The weight of the concrete dome is lightened with the five rows of coffers (sunken squares). The dome is a perfect half hemisphere, and if replicated on the bottom half would just touch the original floor when creating a full sphere. Beautiful collection of pictures of the old Rome. Thank you for these.